Belly Mapping Workbook is 48 eye-opening pages of childbirth preparation with 100 illustrations describing how pregnant women can discover their baby’s position and what to do when it isn’t ideal, including breech and posterior. This informational workbook empowers parents wanting easier birth with Optimal Fetal Positioning, using a 3-part process for a woman in late pregnancy to approximate fetal position using her baby’s kicks and wiggles. 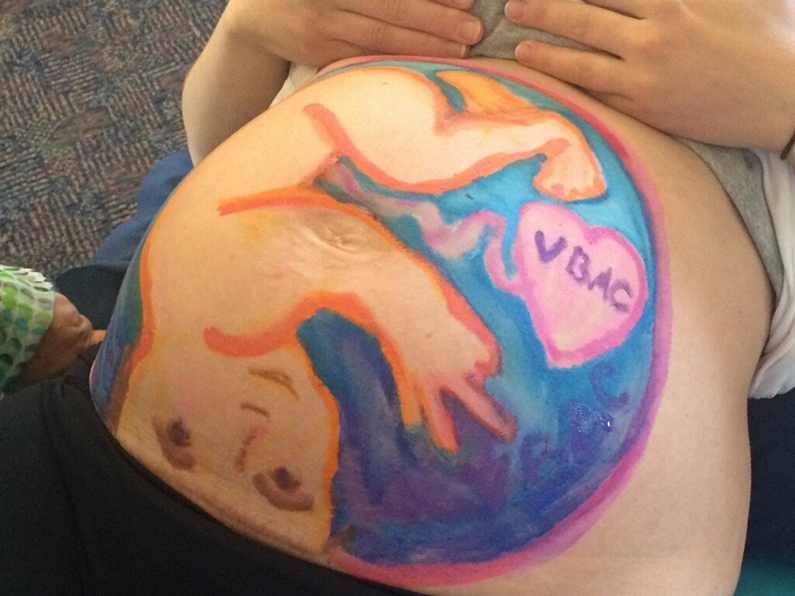 Childbirth educators, doulas, and yoga teachers join parents around the world enjoying the Belly Mapping Workbook. Get yours today! Bulk discount of 40% off when you purchase 10 or more. I flipped through the book and became deeply fascinated about How Kicks and Wiggles Reveal A Baby’s Position. The very next mama that I worked with was a willing guinea pig while I guided her through finding her baby’s position. We were both excited to find that her midwife confirmed our findings the next day. I really felt like I was on to something great with the Belly Mapping Workbook.